How to Achieve the Perfect, Day-to-Night, Summer Look! I’ve been feeling the summer vibes, so when it comes to planning a summer look that is great for day and night, ruffles are my go-to choice! They add fun detail and create depth to your outfit. 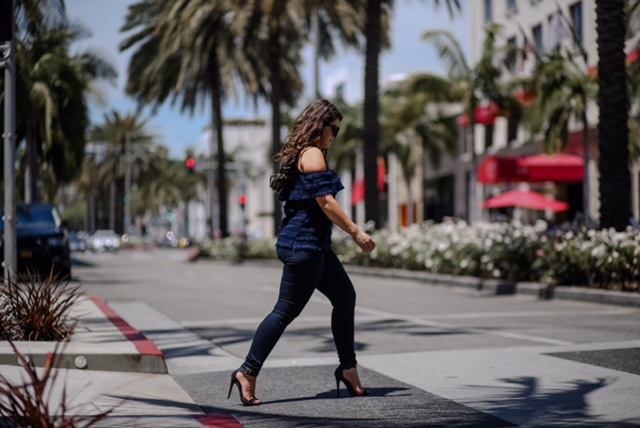 So naturally, when I saw this navy blue, cold-shoulder top from Nordstrom I knew it was going home with me 😉 It’s AMAZING quality and unlike most ruffle tops, has a thick material that will be sure to last! It’s also the perfect transition piece for brunch with the ladies and date night with D! 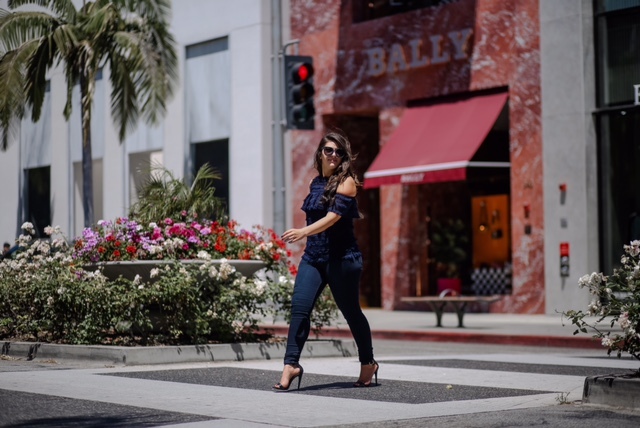 I chose a pair of black heels, which are great for day or night, but if you would rather opt for a pair of black sandals during the day, you can go with my favorite pair of Tory Burch Miller Sandals. On the bottom, I went with dark denim from Paige, I’m not really a fan of lighter denim on myself. Luckily for me, there are no rules saying you can’t wear dark denim during the day. 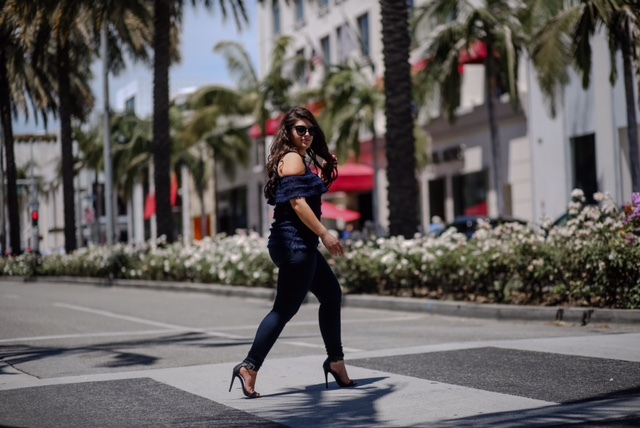 But I’ll talk more about denim color later on in this post! I will say these jeans are literally PERFECTION though! Andddd they are currently 30% HERE! I know its hard to plan an outfit if you have a picnic during the day and then a concert at night though, so hopefully these helpful hints below make it a little easier! So let’s get started! Hopefully these tips on how to achieve the perfect, day-to-night, summer look helped you for all your future summer plans! If you liked this post, then you might also like my post with another fun, summer look! You can visit this post HERE! Previous Post We Were Trapped, With No Visible Way Out! !